Spider-Woman is the codename of several fictional characters in comic books published by Marvel Comi..
Red And Pink Catwoman Superhero Costume ,this superhero feature is it's open eyes and mouth.the same..
Supergirl was created as the counterpart to Superman, and she is the cousin of him. 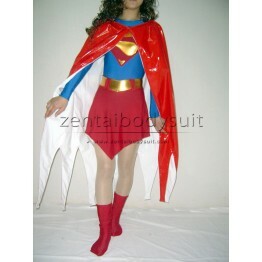 The cape is rem..
Wonder Woman is a superheroine published by DC Comics. With superhuman powers and gifted battle skil..